Music is often seen as a cross-cultural connector, a vessel that has little need for the spoken word though still has the uncanny ability through melodic symphony to invite us along for the journey and let us enjoy the ride. The magic of music need not cease at the human race. Nature too has its own musical masterpieces, from the fleeting chirps and calls of the dawn chorus to the barks and chattering of the fox at the dead of night. These displays of sound and music are often opened to audiences far and wide, urban and rural if one only remembers to take a moment and listen. With the ability to apply technology to our experiences in the outdoors, the opportunity to appreciate nature’s musical and melodic masterpieces is further extended. 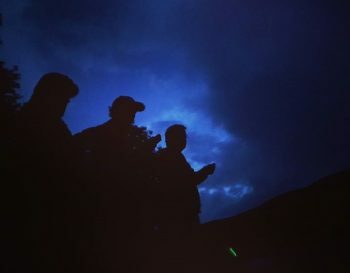 This ability to combine nature and technology allowed a recent evening walk around Lough Gur to be transformed into an evening with Nature’s orchestra through the use of bat detectors; electronic devices that convert the ultrasonic sounds produced by bats into sounds audible to humans. This was part of a workshop led by staff from Ballyhoura Development CLG and VWT; a partnership funded by the Heritage Council as part of European Year of Cultural Heritage 2018. 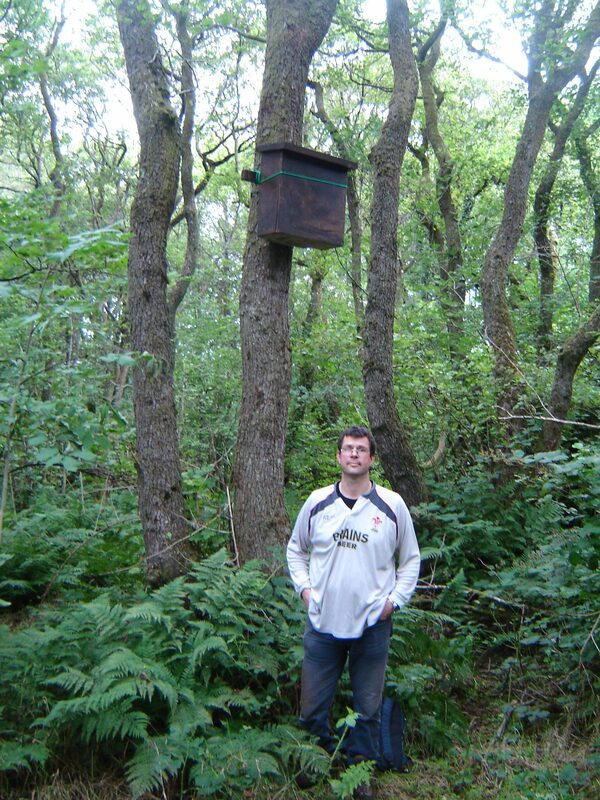 Ireland has nine species of bat and armed with multiple bat detectors operated by members of the local community, we hoped to be alerted to their presence. We were not left waiting for long, and at around an hour after sunset, with the bat detector tuned to 35kH the unwavering “p-p-p-p-p-p-p-p-p-p”, machine-gun like rhythm that emitted from the detector signalled that we were in the presence of a Daubenton’s; the sound cutting through the night sky and immediately drawing all eyes to the glassy surface of the lake that stood before us. The Daubenton’s didn’t disappoint and true to form, living up to its name of ‘the Water Bat’, repeatedly displayed its highly skilled hunting behaviour; a technique that involves precise movements of skimming the water’s surface so closely that it is able to catch and eat insects as it is in flight, or ‘on the wing’. 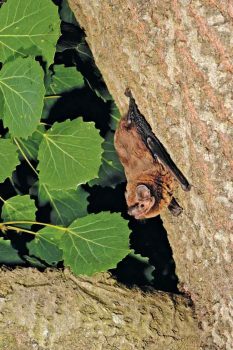 No sooner had we appreciated the manoeuvrability and acrobatics of the Daubenton’s, we were also joined by a Leisler’s bat, with its distinctive two-part, ‘chip-chop’ call emitting into the night by all bat detectors that were tuned to 25kH. Unlike the Daubenton’s, Leisler’s make use of the vast openness and height that was offered around the woodland and water bodies of Lough Gur. Whilst the distribution of Leisler’s stretches from western Europe to southern Asia and northwestern Africa, Ireland is considered a stronghold for the species and with this in mind, their presence seemed all the more poignant and timely. Common and soprano pipistrelle were also recorded throughout the walk, making for an impressive array of musical masterpieces between them, all of which were appreciated enthusiastically by those of us in their presence. The evening also played host to presentations and workshops, all of which were delivered by Kate McAney and Ruth Hanniffy, VWT Ireland’s Development Manager and Projects Support Officer. Local landowners and members of the community were introduced to SM4’s and given training on how and where to use them. 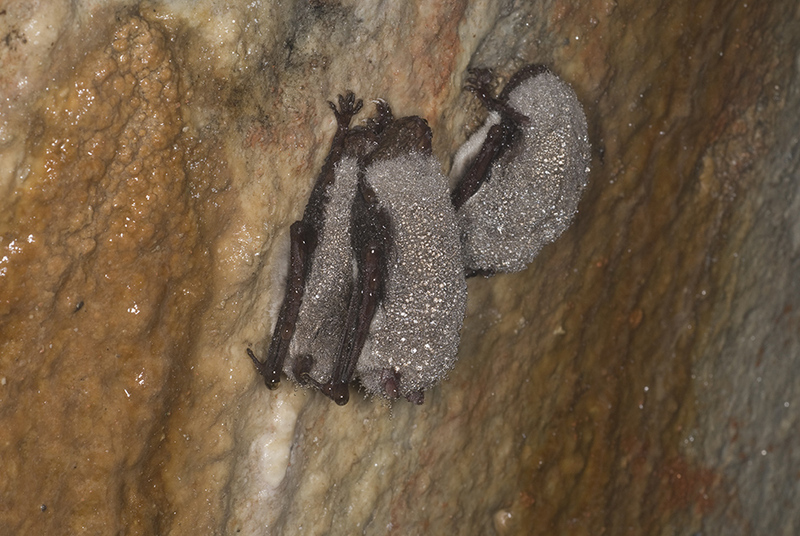 These are programmable audio recorders designed to record the echolocation calls of bats for surveying and monitoring and will be used to monitor lesser horseshoe bats. 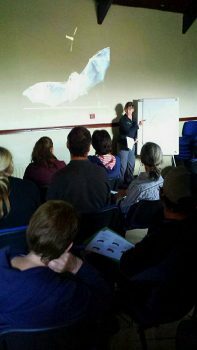 Kate and Ruth also shared their expertise in identifying Ireland’s native bat species, facilitating discussion and instruction around identifying features such as frequency and pitch, habitat and flight patterns. It is hoped that those involved in the evening’s bat walk and workshops continue involvement with the project, alongside anybody from the local community in the Co. Limerick area who may also be interested in getting involved. 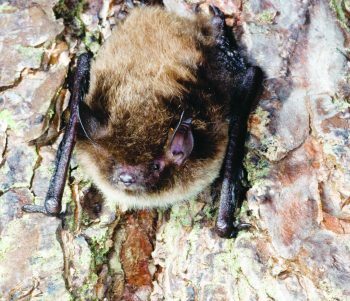 The data and information gathered from regular monitoring with the SM4’s will allow for a greater understanding of the lesser horseshoe bat population, distribution and status within this area of Ireland.